In the modern age of planes, trains and automobiles the world can seem like it’s getting smaller every minute. But what I think is actually happening is that this new world of travel options simply causes us to overlook the quirky little corners of our own cities and states and as a result we see less of the world around us. A couple weeks ago I walked the streets of a small Texas town as exotic to my suburban eyes as any foreign destination. 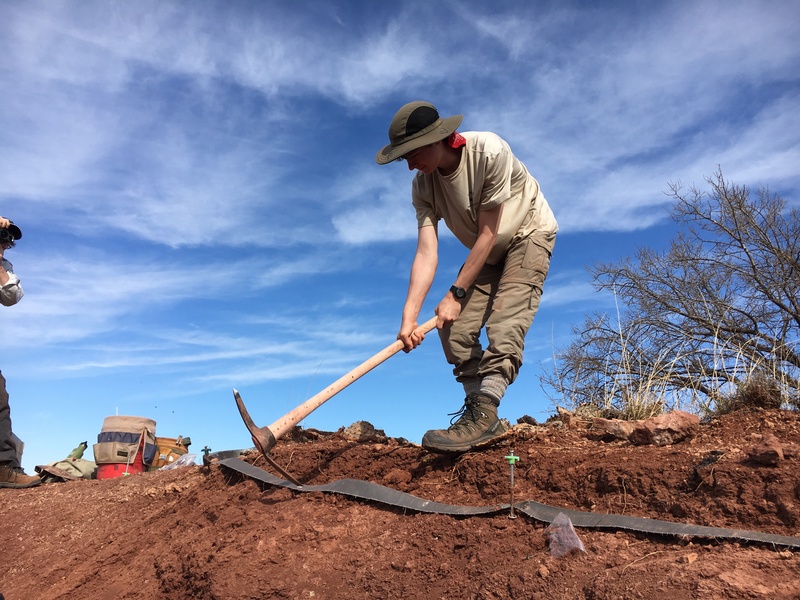 While I was there I met a legend in the paleontology community and watched as he conjured up monsters from the dry, hard-packed earth of Baylor County. The experience opened my eyes to a whole Lost World in my own home state. 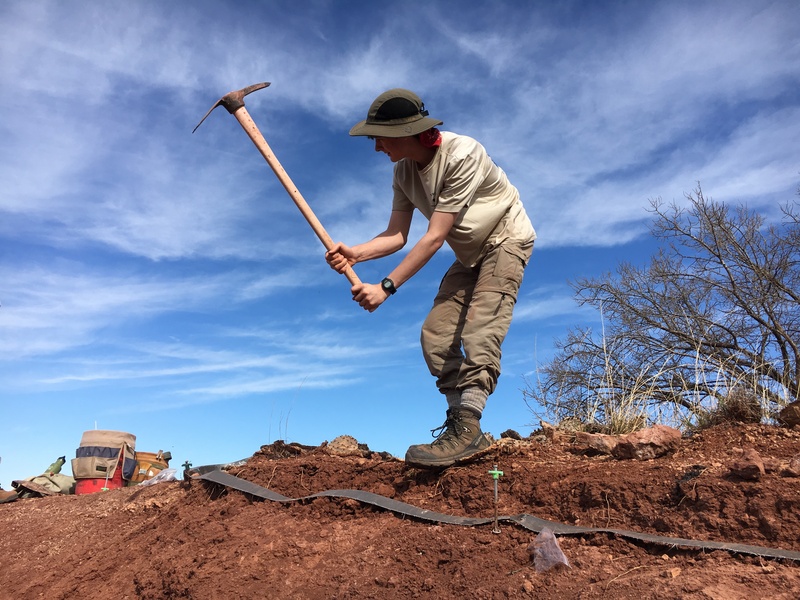 It was all part of a field trip that students from the Post Oak High School in Houston, Texas were taking to the Houston Museum of Natural Science’s paleontology dig site outside of Seymour, Texas. Sounds mundane enough, but haven’t some of the most exciting discoveries, some of the most dangerous secrets, been hidden behind commonplace facades? 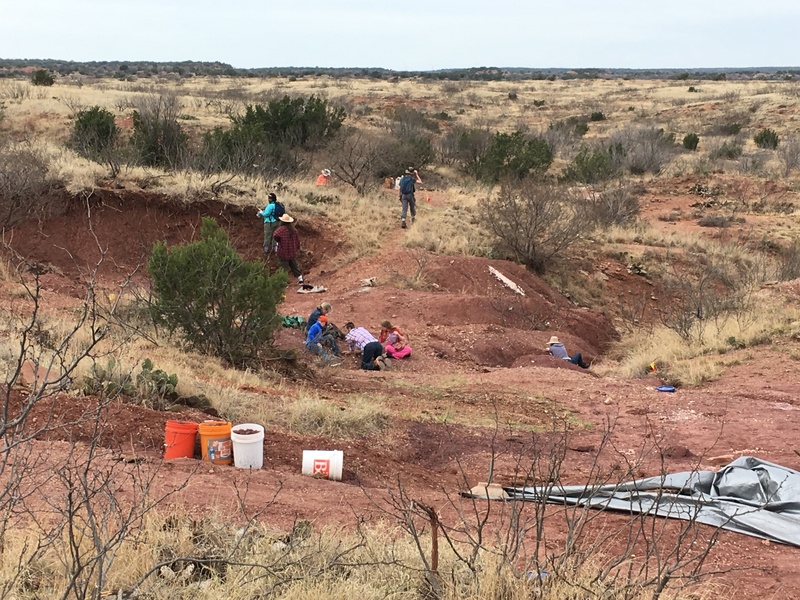 It turns out that Baylor County, Texas is one of the best places in the world to find Permian era fossils. 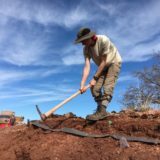 The list of places where preserved remnants of this distant time period, spanning 298-251 million years ago, can be found is short and the few other good sites are scattered about the globe in even more remote places like Australia, Eastern Europe and Africa. Getting to the dig site is more of a journey than a trip, you start off following interstate 45 North out of Houston, you turn West at Ft. Worth and follow the sunset until you exit the highway and drive along country roads, passing abandoned farmsteads and decaying old country towns. Seymour, like many other small communities in the area, is a town in decline. As more young Americans make their way to the urban centers, more towns like these shrink into obscurity. These days all you can find within the city limits is the classic Texas quartet of small businesses: a subway (now more ubiquitous than dairy queen), a dollar general, a mom and pop café and a shanty feed and supply store. This was the home base of our group of urban kids plus a couple curators and a fish out of water marketing blogger. Dr. Bakker describes the creature whose remains the two students have just uncovered. 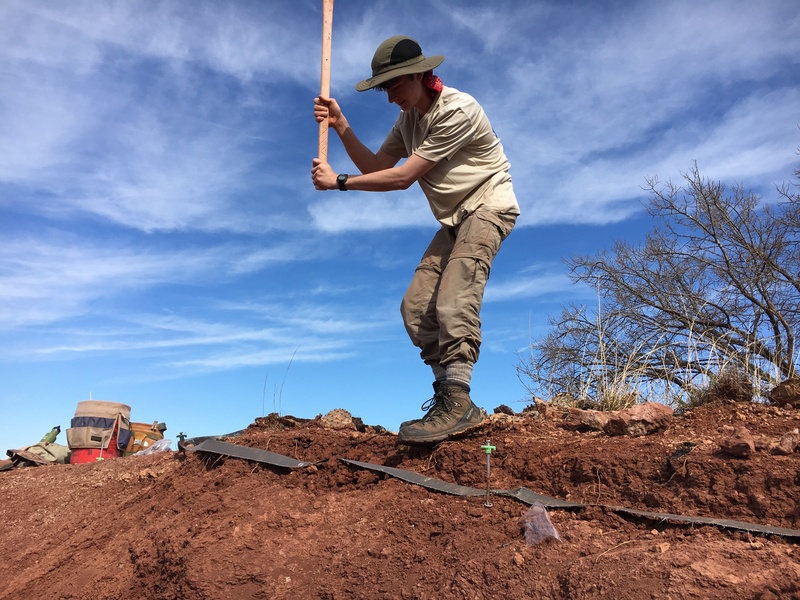 A couple miles outside of town, the area surrounding the dig site is an alien landscape: rust red, hard packed soil covered over with every manner of prickly plant and crisscrossed by a labyrinth of washed out gullies descending toward a nearby reservoir, all under the baby blue dome of a cloudless sky. As we hiked around the site, Dr. Bakker, the museum’s Curator of Paleontology and a legend in his field, was ahead of us. He scuttled over this hellish landscape in a quick but precise sort of way. The good doctor has a certain wizardly quality about him. 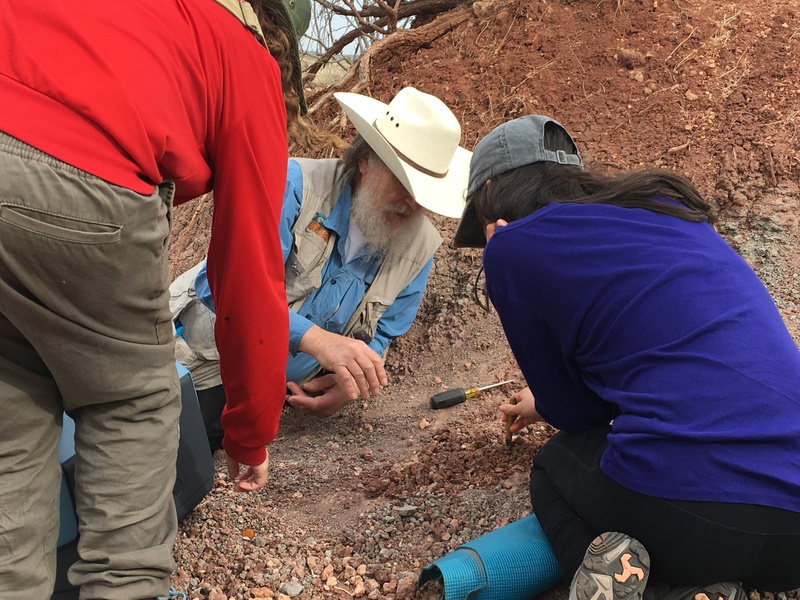 I’m not sure if it’s his long, white beard and his long, red hair tinged with white streaks, peeking out from his worn out old cowboy hat, or if it’s the way he can read the landscape and seemingly make fossil remains appear out of nowhere. There are several pits being dug around the site and to an untrained eye like mine, they all look totally bare of remains. But with gestures of their hands, Dr. Bakker and other museum staff members revealed the outlines of skulls and fins belonging to Dimetrodon, a large, sail-backed lizard that is actually distantly related to us, and spines from Xenacanthus, a fresh water shark that had a venomous spine sticking out of the back of its head. 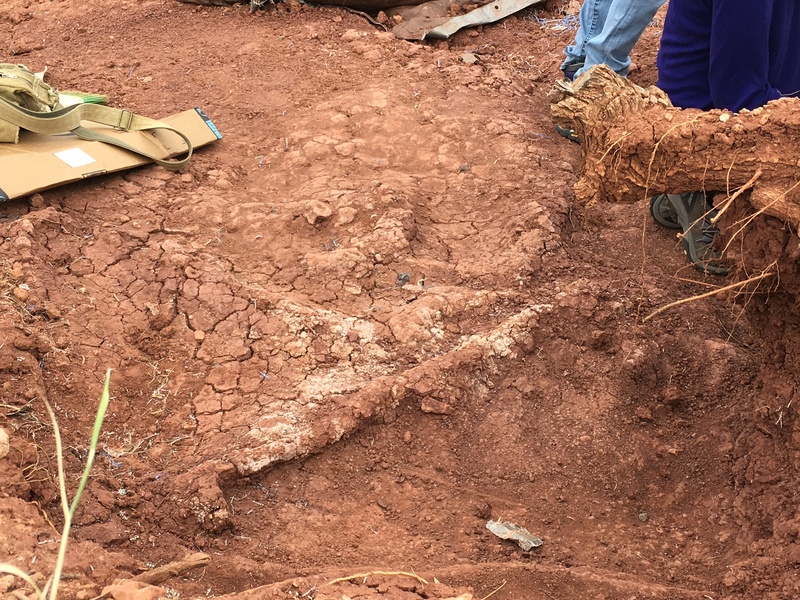 These fossils are the same faded red color as the soil around them, but once you know what to look for, the slight differences in color and texture, a whole new (or rather ancient) world opens up before you. Every once in a while a new specimen would be uncovered. 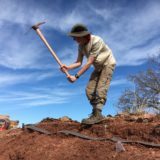 A couple Post Oak kids discovered a new site featuring Xenacanthus spines and even an Edaphosaurus bone. Edapahosaurus was an herbivorous fin-backed reptile, preyed upon by Dimetrodon, whose remains have thus far been elusive at the site. The sensation of witnessing real discovery is something totally unique and special. In our case, it always started out small. Someone would find a tiny piece of bone that looked utterly insignificant, but then Dr. Bakker would begin to tell the story of the creature and reveal what the specimen could tell us about what the site looked like 250 million years ago. Although the landscape is arid and eroded now, back in the Permian it was a plain threaded through with meandering streams. In the wet season flash floods would race across the plain, leading to the deaths of some of the specimens we were digging up. The creatures we were uncovering were beyond ancient, predating the dinosaurs by millions of years and some of them looking totally alien to our modern eyes. Bakker, monkishly devoted to his field, proselytized paleontology often and his lectures could sometimes fade into ambient noise around the dig site, but sometimes, like when the Edaphosaurus bone was found, he would get really excited and the ensuing speeches on the significance of the discovery were enough to get spines tingling. This long, thin bone once helped support the large fin on a Dimetrodon’s back. Finding an intact spine like this is a very rare occurence. 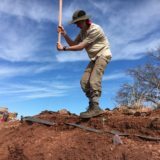 HMNS’ paleontology dig site has turned out to be just as socially significant as it is scientifically significant. Besides offering students the opportunity to work in the field with real paleontologists, the project has also led to the founding of the Whiteside Museum of Natural History in Seymour. Most of the specimens discovered in the field are taken to the Whiteside to be prepared and many of them end up on display in the facility’s exhibit space. It’s a new business, attracting new visitors to a town struggling to survive. Most of the students who visit do not go on to become paleontologists, but that’s okay. The goal is not to convert visitors, but merely to expand their knowledge of the earth’s past and give them a better appreciation for knowledge that even our own state has to offer. In my case, at least, they have succeeded. If you are interested in seeing specimens from the HMNS dig site, you can visit our Morian Hall of Paleontology. We have an entire section devoted to the Permian epoch, displaying several specimens from Baylor County.